Height measures 55" at one end to accommodate smokestack; opposite end measures 36"
Take care of the smoker that feeds you! Protect the sleek beauty of your Char-Broil smoker from the forces of nature with this full-length heavy-duty cover. 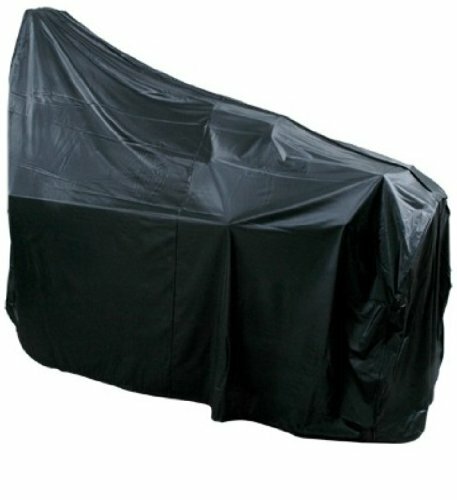 The Char-Broil Heavy-Duty XL Smoker Cover is designed to fit over larger smokestack design smokers. This specialty cover measures 36" tall at one end and 55" tall at the other to accommodate your smokestack. The cover's heavy-duty construction will defend your smoker against snow, hail, rain, and the wind - not to mention spiders, pests, and assorted debris that can often infiltrate barbecues and pose fire dangers. To clean your cover, simply hose it down and the dirt comes right off. This cover measures 72"L x 36"D with its highest point at 55"H.